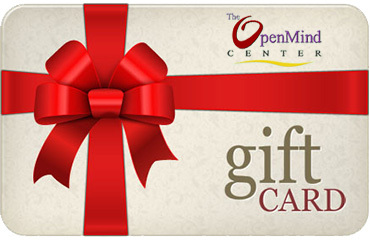 The Open Mind Center offers a variety of alternative healing modalities for all. Our crystal room features many semi-precious stones including Selenite, Rose Quartz, and Black Tourmaline. We even have a beautiful water fountain and salt lamp that add a peaceful ambiance to the space. Crystals have amazing healing energy. The Open Mind Center is dedicated to offering our Crystal Healing Room, Chakra Balancing & more. Call us to make an appointment now! This healing room was created for you to experience the benefits of crystal healing in a personal way. Enjoy the instrumental music with no interruptions or interactions from anyone else. We welcome you to sit in this room and relax, release, and renew as you absorb the positive energy these crystals emit. By sitting in a room filled with crystals, you can release your mental, physical, emotional, and spiritual burdens and allow the crystals to neutralize these issues while they work to help heal your wounds. Selenite clears blockages and debris and assists in connecting you to your true self. Black Tourmaline is the stone of protection. It protects you from negativity of all kinds and absorbs any inner or outer negativity. Rose Quartz is the stone of love. It helps strengthen your connection to yourself and others. Rose Quartz is great for self-love and compassion. All of these stones, coupled with a salt lamp (neutralizes harmful positive ions in the air) and the water fountain, makes a sacred haven for anyone in need of healing. We’ve gone the extra mile and have created a crystal grid in the space to assure that our customers feel safe and protected as they go through their healing journey.